The Oregon Pool, part of the Oregon School District decided it was time to grow their already 17,530 sq ft facility. The expansion included two additions, to the East and West sides of the building. 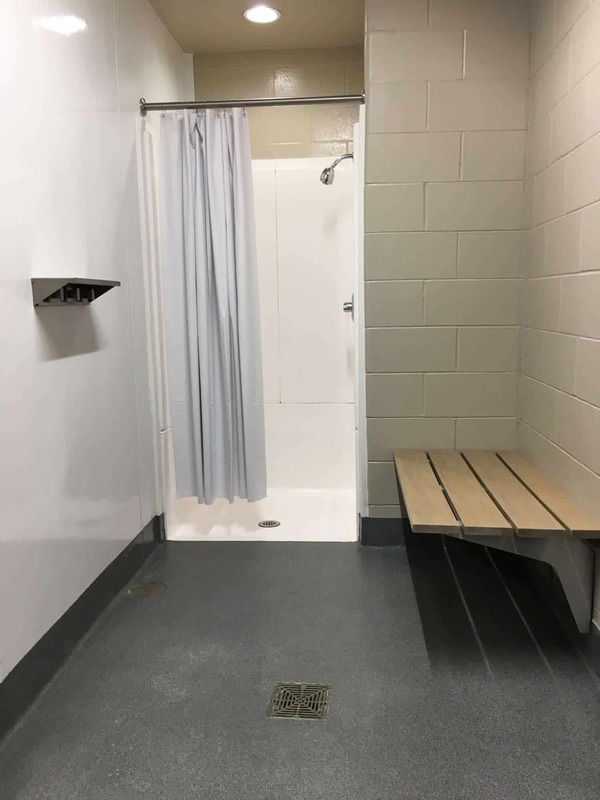 The East addition was made to the women's locker-room and involved adding 4 private showers/changing areas and two bathrooms. 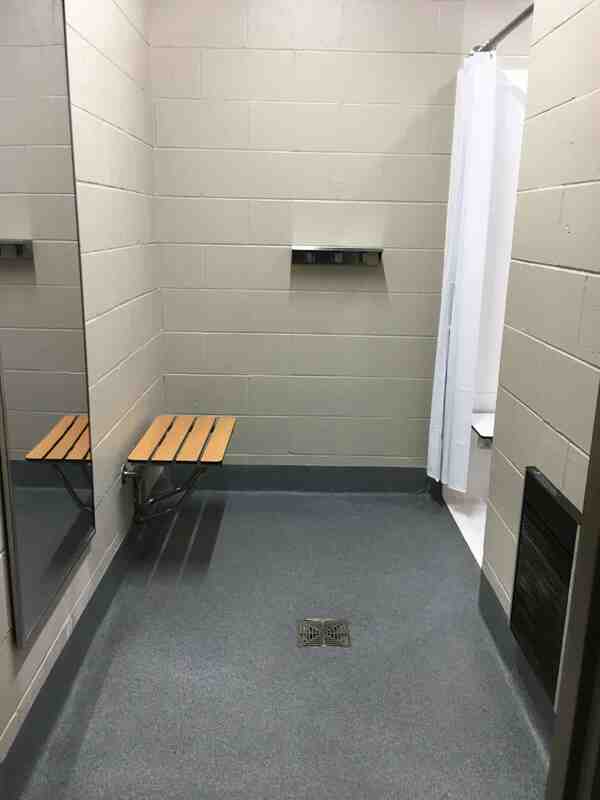 The West addition to the men's locker-room added 4 showers/private changing areas. Along with the additions, a mechanical room was added in preparation for the future splash pad. 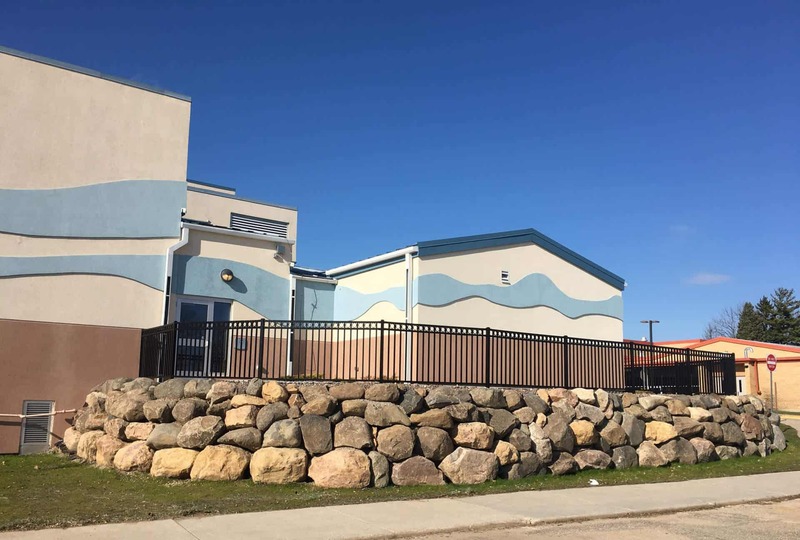 The exterior of the additions matches the existing building by continuing the wave pattern and using the same colors. A new lighted sign was also added, with the school district logo. Guess you could say that the project went swimmingly.